Implant and device manufacturers are increasingly facing the challenge of proving that their products are safe and biocompatible, and that they will perform as expected. 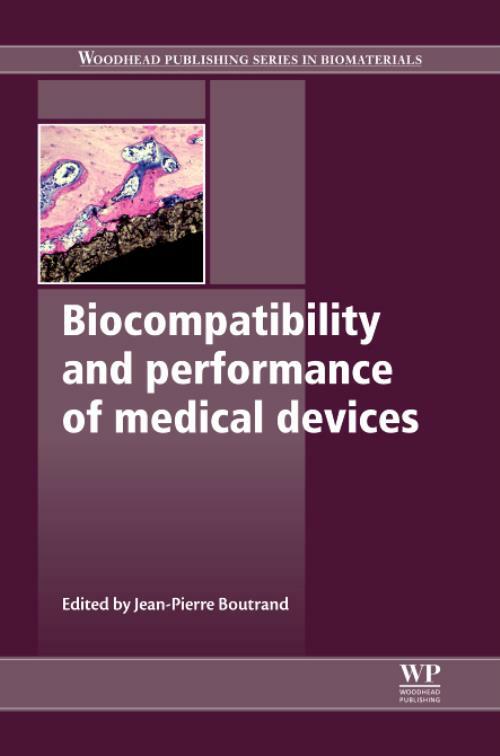 Biocompatibility and performance of medical devices provides an essential guide to the performance analysis of these vital devices. Part one introduces the key concepts and challenges faced in relation to biocompatibility in medical devices, with consideration of biological safety evaluation planning and biomechanical and biochemical compatibility in innovative biomaterials. Part two goes on to discuss the evaluation and characterisation of biocompatibility in medical devices. Topics covered include material and chemical characterisation, allowable limits for toxic leachables, in vivo and in vitro testing and blood compatibility assessment. Testing and interpreting medical device performance is the focus of part three, with chapters describing preclinical performance studies for bone, dental and soft tissue implants, and mechanical testing of soft and hard tissue implants. Part four provides information on the regulation of medical devices in the European Union, Japan and China, and the book concludes with part five, a review of histopathology principles for biocompatibility and performance studies. With its distinguished editor and international team of expert contributors, Biocompatibility and performance of medical devices is a vital tool for all those involved in the research, design, production and application of medical devices, including research directors, production companies and medical regulatory agencies, as well as industry professionals and academics. Boutrand, Jean-PierreJean-Pierre Boutrand is General Manager and Scientific Director for the European division of NAMSA (the world leading medical device evaluation company). Dr Boutrand has been involved in more than 100 public presentations and publications on topics related to medical device evaluation and is registered as an expert on the biological safety of medical devices for ANSM (the French agency for the safety of health products).